I read the news today, Oh boy!- The news of Monday February 10, 1969- comes from the entertainment and sports worlds. 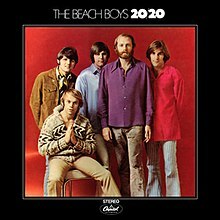 The Beach Boys released their 15th studio album on this date- 20/20. The Beach Boys at this time were in decline- Brian Wilson was absent for the most part now suffering from the mental problems that would sideline him for some time. Most of the tracks on this album were outtakes from other sessions. The Beach Boys also faced the problem of no longer being cool. To quote an earlier Beach Boys masterpiece from Pet Sounds- They Just Wasn’t Made For These Times. Their surf sounds sounded pretty square now and although they tried to stay hip- it just wasn’t happening. The album only went to #68 on the Billboard album charts but they were still popular in the UK- it went to #3 there. Most notable song on the album- the single Do It Again which went to #20. The other single Bluebirds Over The Mountain is mostly noted for its b-side a song called “Never Learn Not To Love” which is credited to Dennis Wilson but was an altered version of Cease To Exist-written by a singer-songwriter named Charles Milles Manson. 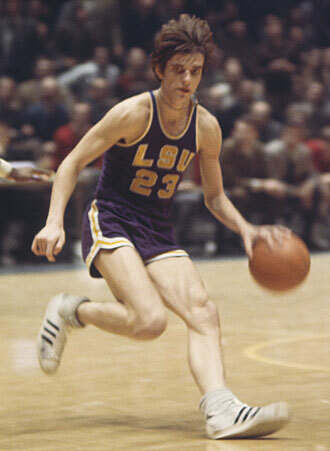 In college basketball- LSU’s sensational Pistol Pete Maravich scored 66 points in a game that LSU lost to Tulane 101-94. Maravich had an incredible career. He was now a junior and would go on to average 44.2 points a game this season. Remember back then there was no 3 point shot. How much would he have averaged with the 3? Also to consider- back then there was no shot clock- teams could take their time with the ball- and stall at times. In his 3 year career at LSU he averaged in the 83 games he played 44.2 a game. Back then freshman could not play for the varsity. Pistol Pete was a highlight film unto himself. The Beach Boys got pigeonholed/typecast by their music, music as actors on long-running TV series. When you try something different it doesn’t sit well with the public… Hey they had their time in the sun at the beach, which is more than many get. Yes it was Fun Fun Fun- then 1967-68 came and they all the sudden became squares. ~Wow, Hans I didn’t know about the Charlie Manson connection. Thanks for posting. Charlie and Dennis Wilson crossed paths- Dennis invited him over to his house- Charlie brought the family and basically moved in for a while- Dennis couldn’t get rid of him and was kind of scared of him- Dennis ended up moving out of his own house for a while to get away from the loonies. That’s incredible, though. I know all about Mason and Dennis from captioning a series about Manson at work several years ago. But I never knew they got as far as stealing a song from the psychopath! Manson may have been a murdering, marauding maniac, but Dennis had his own thieving karma to deal with!